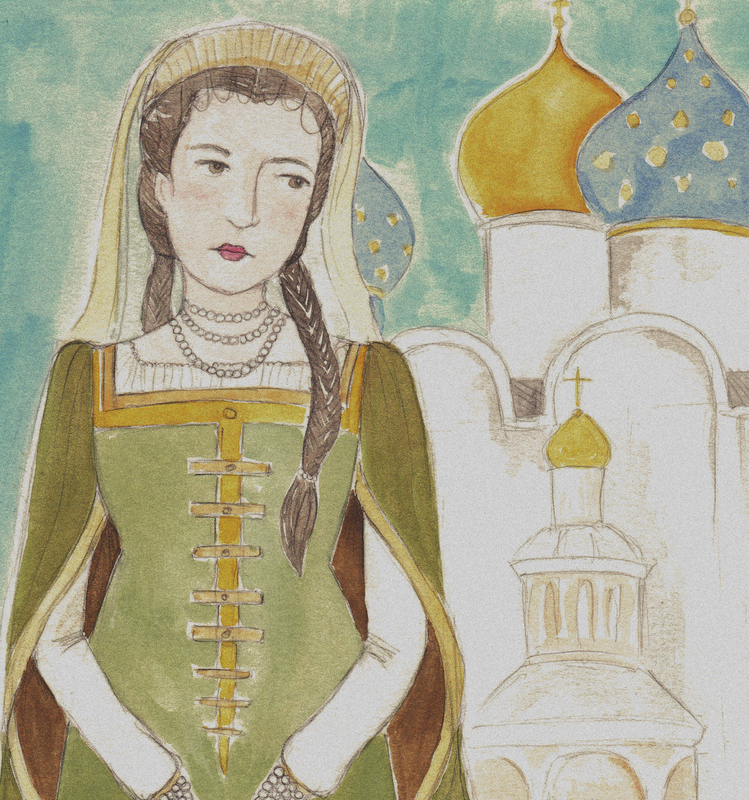 The very beautiful and well educated daughter of Tsar Boris Godunov had two fiances. Prince Gustav of Sweden and John, Prince of Schleswig-Holstein. Gustav was dismissed immediately for his dissolute life (I’d like to know more about that!) and John feel ill and died before they could be married. Bummer! When Xenia’s father died, and her brother Feodor became Tsar, False Dmitriy I stepped in and murdered both her mother and Feodor. (He is called False Dmitriy I because he was one of 3 imposters who claimed to be the youngest son of Ivan the Terrible.) Xenia was spared, but FD1 raped her and kept her as a concubine for five months while he was waiting for his bride to arrive- Marina Minszech. Xenia was then forced to take monastic vows, given the name “Olga” and transferred to a monastery. She is buried with her parents and brother at the entrance of Assumption Cathedral at Trinity-St. Sergius Lavra.